We offer bespoke installation in the UK for every Andersen EV Charger we sell. Our Standard Installation costs £400. The first thing to do is check your amp supply fuse. It is preferable to have a 100A main fuse. This is required to allow the load of the charge point. If you have a 60A main fuse it is advisable to upgrade your supply to 100A. Upgrades are carried out by your electricity power network. You can find your main fuse linked to your electricity supply meter. There should be a label on the side of the fuse showing the Amp rating, or your electricity provider can clarify the fuse rating. If you have 60amps, we can install an Andersen EV charger, but will have to throttle it’s power supply so the charger doesn’t overload the supply. How do I know if I’ve got Standard installation? Most installations are standard, but there are a few occasions where additional work is necessary. Find out if you come under Standard Installation in the table below. Drill through one wall. Drill through more than one wall. Installing an A2 on a brick or plaster wall, or to another suitable permaanent structure. Installing an A2 on a brick or plaster wall, or to another suitable permanent structure. Visit our online design studio to select and customise your charge point. Once you’re happy, select ‘installation’ and place your order. Once your order has been placed our installation team will be in contact with you to get an understanding of your installation. This will be done by sending through specific photos and confirming information relating to your ev chargers installation. 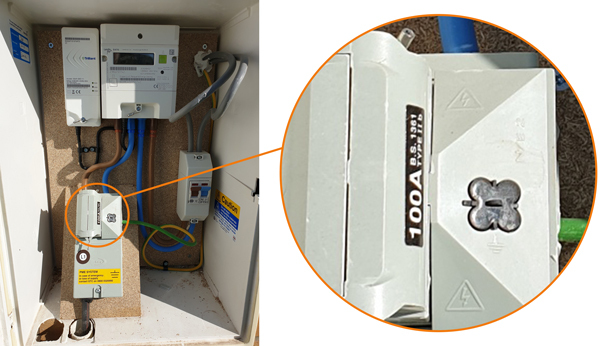 Our team of engineers will analyse your survey and confirm whether you fall under standard or non-standard installation. After this is confirmed, we can set your installation date. An engineer will ring you prior to arrival. This is to ensure that everything is in place for your home installation. Your engineer can help you decide the best place to install your charge point. Once your charging point installation is complete, you will be given a full demonstration on how to use your charge point. every Andersen charging point comes with our free app, Kønnect. You can monitor charge time and stay in control with costs, plus lots of other innovative features.